Molli Moran is the amazing blogger behind Books and Whimsy, she is now also a fabulously awesome author! I am pleased to introduce you all to ONE SONG AWAY which is scheduled to be released in December. Molli has also written an amazing guest post to share with us about her experience going from a book blogger to an author. As some wonderful folks know, and as hopefully more will find out soon, I'm an author. I wrote a book and published it this year. It's called AS YOU TURN AWAY and on the surface, it's about two ex-lovers who get a second chance at being together. It's also about discovering love for yourself and your family, about the saving graces of friendship, and mostly, about coming home. 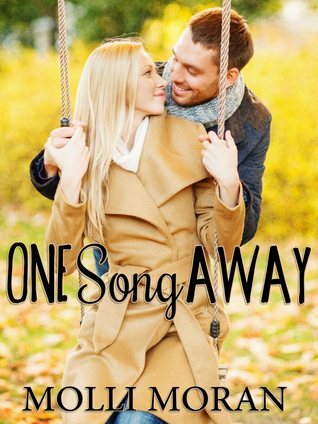 I'm publishing a second book in December called ONE SONG AWAY (unrelated to my debut) that covers some similar themes, but is a bit lighter overall, with plenty of swoony kissing scenes, and, I hope, heart and humor. But I didn't start out as an author. In 2011, a good friend of mine started a book blog. I'd been blogging at LiveJournal for years, and so I figured "How different can a book blog be?" Undaunted, I started one, and then had to ask myself "What do I want to do with this space?" Social media has given everyone their own platform, and once I learned the way around mine, I used it to talk about my love for books. I thought two or three people might eventually follow my blog and want to hear what I had to say. The truth is, the decision to start blogging changed my life. I joined Twitter and began connecting with fellow bloggers, and discovered this huge, thriving community of people like me. I made friends, some of whom I've even met. I read books I never would have read if it were up to me, all because people I trusted recommended them. In the online book blogging community, I found a home. In the fall of 2012, my life changed again. I lost a job I had thought of as a career, and while looking for work, I did two important things. I came out to my family, and took my relationship with my girlfriend public. And I started writing a book. A real book. Not the short pieces I'd written in the past, or the longer, but ultimately not-book-ish ones I wrote with a few friends. And the book blogging community - my community - was there for me, supporting both parts of my new life. Everything sort of sped up then. I found work, and the months of soul searching and cold weather melted with spring, then summer. I published my debut, and found yet another home in the amazing New Adult community, of which I am SO proud to be a part. 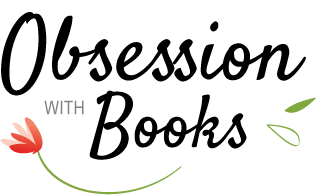 These authors are some of the most passionate, awesome folks around - and that's saying a lot, seeing as how my first experience was with the YA authors community. I don't blog as much anymore, although I try to keep my blog dusted off. Mostly, I share writing tips and news there, with short reviews mixed in. Once I published my first book, I struggled a lot with finding my voice again. It took a little while to learn how to have a foot in both worlds, how to be an author and a blogger. Suddenly, blogging was just as fun as it always was, but I wasn't sure how to do it anymore. I'm still trying to find my footing, so in the meantime, I spend more time on Twitter, talking about books there. And something magical happened. Even though I stopped blogging regularly, the book blogging community still feels like home. My blogger friends and I still chat all the time about upcoming books, which ones we've read and enjoyed, and what trends we like and dislike. Sometimes some of my author pals and I will chat with my blogger friends. We laugh, we joke, we say inappropriate things. And that's what I like to call the best of both words. I'm not sure how I got so lucky to find a group of smart, funny, awesome people who listen to me talk about femism, Stefan Salvatore, writing kissing scenes, and coffee on a regular basis, but I did. And I'm thankful every day for my online home. About Molli: Molli is a Southern author who doesn't consider her day complete if she hasn't written. She loves coffee and talking fast, things she attributes to being raised by Gilmore Girls. She's a romantic at heart, and brings that to her books, which are usually about quirky characters chasing after their happily ever after. Although content when reading, she can often be found watching and flailing over Doctor Who, cuddling her various pets, or spending time with friends, family, or her girlfriend. Molli loves Oxford commas, country music, Stefan Salvatore, and scarves. Giveaway! Molli has kindly offered one very lucky reader an eBook copy of One Song Away. To enter please complete the rafflecopter form below, not all options are mandatory. Giveaway is open internationally as long as you are able to accept eBooks. Great guest post. Cool how she originally started out blogging. I follow Molli on Twitter and knew her debut released last year, but I've yet to read her books. I'd love to though and this sounds like a good start. Great guest post and thanks for the giveaway!